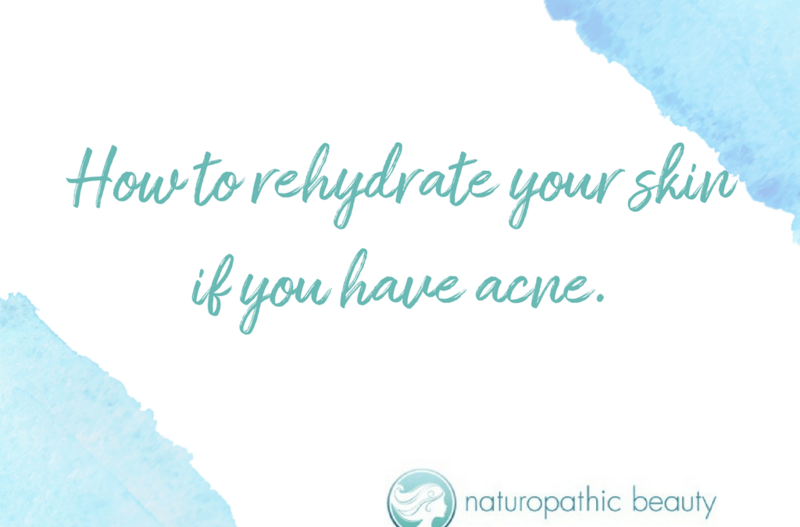 How to rehydrate your skin if you have acne. About 15 years ago, in the midst of my struggle with acne, I went to see an amazing aesthetician. She took one look at my red, inflamed, blemished face and told me that my skin was dehydrated. She told me I needed to change my skincare regime to include hydrosols and oils. I wanted to laugh really hard at that moment, because my skin was so oily that make-up slid off my face within an hour of application. In my mind my skin was the opposite of dehydrated and the last thing it needed was more oil. I had been washing my face with a cleanser for oily skin and using topical retinoids and fruit acids to help keep my acne under control. This harsh regime kind of worked, but by no means was my skin soft, glowing and clear. My skin was still red, dry, scarred and blemished. The aesthetician gently explained that when the moisture levels in the skin are depleted, the skin will actually produce more oil to compensate for the lack of hydration. This made sense to me, so I purchased her oils and face serums, went home and did nothing. I had severe acne fear, you see. I could not bring myself to put anything new on my skin that might make me break out. So I continued with my harsh skin care regime, changed it up a bit over the years, and instead focussed on healing acne from the inside. It worked. I got rid of my acne (and the acne of many patients) but I can’t say that my skin was plump and glowing. And as the years continued to pass by, I noticed that I was aging (LOL). I realized that I had to act fast to figure out how to get the ‘glow’ that I always wanted, otherwise I would have to find a new career. After all, who wants to see a skin doctor with lacklustre skin? The key to glowing, healthy skin is hydration. Oily skin is actually a sign of dehydration. Increased oil production is a compensatory mechanism for decreased moisture levels in the skin. How does the skin get dehydrated? 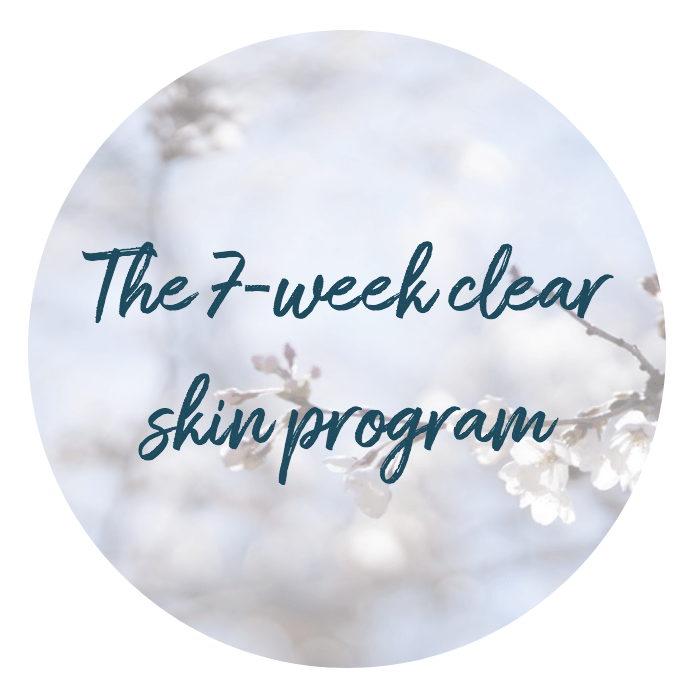 The use of harsh cleansers, alpha and beta hydroxy acids, retinols, benzoyl peroxide, and other harsh topical acne medications disrupt the skin’s natural moisture barrier. The moisture barrier resembles a brick wall. It is composed of skin cells (the bricks) surrounded by a mixture of lipids and ceramics (the mortar). The moisture barrier keeps moisture in, toxins out and regulates the pH balance of the skin. When the moisture barrier is compromised the skin becomes dehydrated, red, itchy, and more prone to break-outs and infections. How do we rehydrate our skin? What is the best way to add moisture back into the skin? Based on the Korean ‘7 Skin Method’, my rehydration technique involves applying layers of hydrosol to freshly washed skin (cleansed using oils, not harsh cleansers). To see exactly how I apply layers of hydrosol to my skin, watch the video below. Hydrosols are pure plant waters that are made using steam distillation. Steam distillation separates the water-soluble and fat-soluble properties of the plant. The fat-soluble compounds are known as essential oils, and the water-soluble compounds are known as hydrosols. They are just as potent and magical as essential oils and they are essential to properly rehydrate the skin. They tone, hydrate, plump, balance the skin’s pH, work in synergy with oil serums and, most importantly, effectively deliver the plant’s therapeutic compounds into the skin. The best hydrosols for skin with acne include lemon thyme, rose geranium, lavender, and immortelle. Lavender is widely available at most health food stores and it is excellent to soothe redness, dryness and inflammation. It also has amazing anti-microbial properties to help fight the bacteria that can contribute to acne, p. acnes. How do you seal in the moisture? Once the hydrosols have been applied an oil serum is used to seal in the moisture. Rosehip seed oil is one of my favourite oils to use – not only does it help rejuvenate the skin, but it also reduces acne scars and pigmentation. It is also has a very low molecular weight so it will penetrate and nourish your skin – it will not sit on top of your skin and clog your pores. Do not use coconut oil or olive oil. The molecular weight is too high. Before you put the oil on your face, however, mix a little hydrosol with the oil (again, watch the video below). This makes an incredibly huge difference in how much moisture is retained in the skin. How long will it take to rehydrate your skin? Try this technique for a few weeks and notice the difference. Your skin will be plumper, there will be a decrease in redness and inflammation, and acne will tend to heal better. But remember, even though this technique is amazing and will likely really improve your skin, it is not a complete remedy for acne. 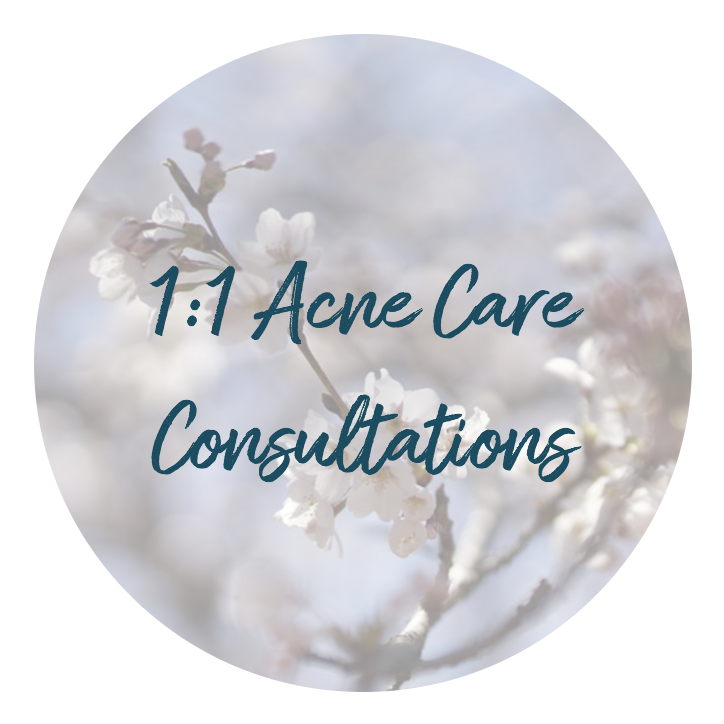 Acne must be healed from the inside out!